Support KCIW While You Shop and Search! Guima’s Tales for Children is a half-hour series for children of all ages, featuring unusual tales, original stories, and legends from around the world. Each episode features a different area of the world. 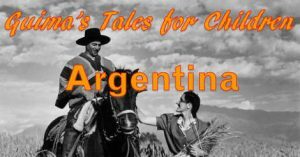 This week’s show features tales from Argentina. Listeners are encouraged to recommend stories as well as provide short stories for children they have written. If you know of a story you would like to hear on the show, contact guima@kciw.org. If you enjoy this program and want to hear more like it, consider supporting Curry Coast Community Radio. Here’s How. Image from Pixabay, Creative Commons Public Domain Dedication license.